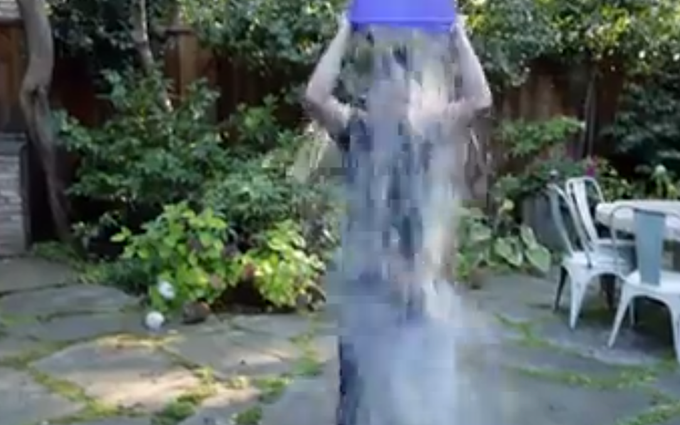 By now everyone in America has taken notice of the virality that is the ALS Ice Bucket Challenge. The challenge is meant to raise awareness to ALS, Amyotrophic Lateral Sclerosis (Lou Gherig’s Disease) and the ALS foundation. With the ice bucket challenge the person challenged must have a bucket of ice water poured on their head or elect to donate $100 to the ALS foundation. While some people are concerned that the ice water challenge is negating the donation process, the foundation says that couldn’t be further from the truth. From July 29th through August 12th the foundation received over $4 million dollars in donations compared to $1.12 million dollars in the same period last year. That information comes directly from the foundation’s website. The foundation has also had 70,000 new donors who have never donated to the foundation in the past. The challenger either gives $100 to the foundation or gets a bucket of ice water poured on their head. If they elect to take the ice water challenge they can then challenge three more people who have 24 hours to respond with the donation or with the ice water. The challenger must also donate $10. Most challengers are donating much more. Jeff Bezos, founder and CEO of Amazon, responds to Nadella’s challenge. Bezos did an amazing presentation suggesting that he challenge Edward Snowden, Queen Elizabeth and Pope Francis and Kim Jong Un but realized they wouldn’t work. Bezos ended up challenging William Shatner, Patrick Stewart and George Takei. Facebook CEO and Founder Mark Zuckerberg took the challenge too. Larry Page also accepted Zuckerberg’s challenge and Google co-founder Sergey Brin joined them. They did the challenge at Friday’s all hands meeting and invited Nooglers, or new employees to Google, to actually do the dumping. The Google duo didn’t challenge anyone else but that could be forthcoming.